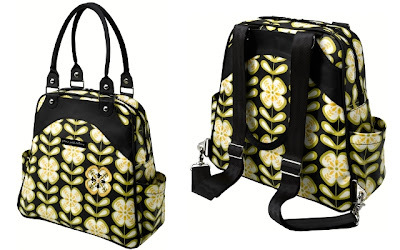 Select Petunia Pickle Bottom Diaper Bags on Sale at Layla Grayce! Layla Grayce just added many new styles of Petunia Pickle Bottom diaper bags to their assortment. What does this mean? It means that some of the older styles were reduced in price to make room for the new styles! If you are looking for a diaper bag that looks like a stylish handbag, I highly recommend that you take a look at the Petunia Pickle Bottoms. The PETUNIA PICKLE BOTTOM SASHAY SATCHEL LIVELY LA PAZ (Final Sale) is currently selling for just $119.00 on LaylaGrayce.com! You will be saving 30% off the listed price of $170.00 with this fashion deal. Stop by LaylaGrayce.com to view more diaper bags on sale, as well as the newly added styles of Petunia Pickle Bottom diaper bags. All the regularly-priced bags currently come with Free Shipping!